At this point in the season, it is becoming clear who is a viable every week starter in the running back ranks. There are a few flash in the pan types and some boom or bust wild cards, but those are players who cannot always be trusted. This week is not a terrible one for bye weeks, but a few key players are out as always. Let's get into it and see which players merit a start and which are better avoided. 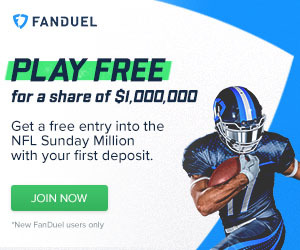 Forsett is getting it going, take advantage now. Gurley is the Rams only elite offensive threat and he will get the ball a ton versus a bad Niners team. Bell should have his quarterback in the lineup which means no more stacked boxes. Peterson has been more hit or miss than I would expect but he should handle the Bears. Freeman is rock solid every week. 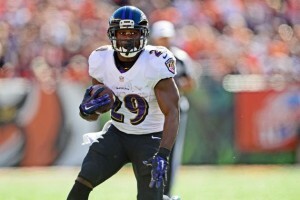 Forsett is really coming on lately, although it is probably too late to save the Ravens season. Forte is still nearly elite, but I don't love the matchup. Miller exploded last week but don't expect a repeat versus New England. Lynch is looking healthy and takes on a weak Dallas squad. Martin has been very good lately and should continue in Atlanta. Ingram gets a nice matchup versus a Giants defense that has been gashed by the run lately. Chris Johnson is looking like CJ2K in Arizona, take the points while they last. Stewart goes up against a Colts team that is in disarray. Lacy has struggled, but he is worth a shot in week 8. Ivory would be rated higher if he was healthy, but he is not. West showed some nice moves in week 7 and faces a vulnerable Detroit team. Woodhead is the running back to own in San Diego. Bernard and Hill both go up against a Pittsburgh defense that has struggled lately. I like Dion Lewis over Blount by a little bit if he suits up. McFadden has a bad matchup but his pass catching ability makes him usable. 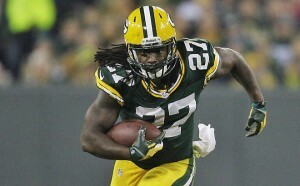 Lacy heads to Denver and will look to prove that he should still be in fantasy lineups. Blue is out to prove himself as well, but in an easier matchup. Murray is in for a rough day versus the Jets run defense. Gore should have a similarly bad experience facing Carolina's defenders. Duke Johnson could catch enough passes to have a decent day, but that is tough to rely on. Hillman looked good his last time out, but who knows how the carries will be split? As always with Hyde - love the talent, hate the team. Starks could carve out more carries for himself if Lacy struggles again, but it may be best to wait and see for another week. Several backs here rely on pass-catching: Sims, McCluster, Vereen, Riddick. I like Andrews just a bit more than McCluster because he will get the goal line carries. Abdullah has shown nothing for weeks, but Detroit still gives him the ball. Gordon and Anderson have disappointed for the most part and that should continue. Polk and Jennings are both low tier flex plays.